To order Penniman: Virginia’s Own Ghost City, click here. Limited Quantities! - Order NOW! Now selling for more than $200 at some online sites, this price of $44.95 is a limited time offer, sold from the author’s own stock. Each book is personally autographed. This book is a field guide to Sears’ 60 Most Popular designs. OUT OF PRINT! While supplies last! $36.95 (plus $5 s/h). 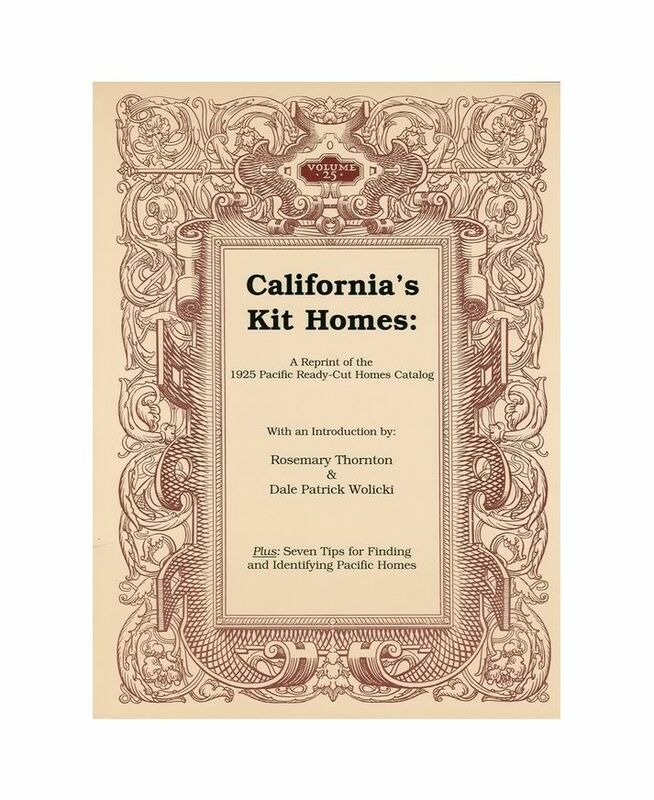 This is an invaluable resource for anyone yearning to know more about the kit homes of the West Coast, and includes a 12-page introduction (Thornton and Wolicki) with detailed information on the history of Pacific Ready Cut Homes. Your knowledge of America’s kit homes is not complete until you own this book! NOW OUT OF PRINT! While supplies last! $35.95 (plus $5 s/h). When these are sold out, that’s the end! 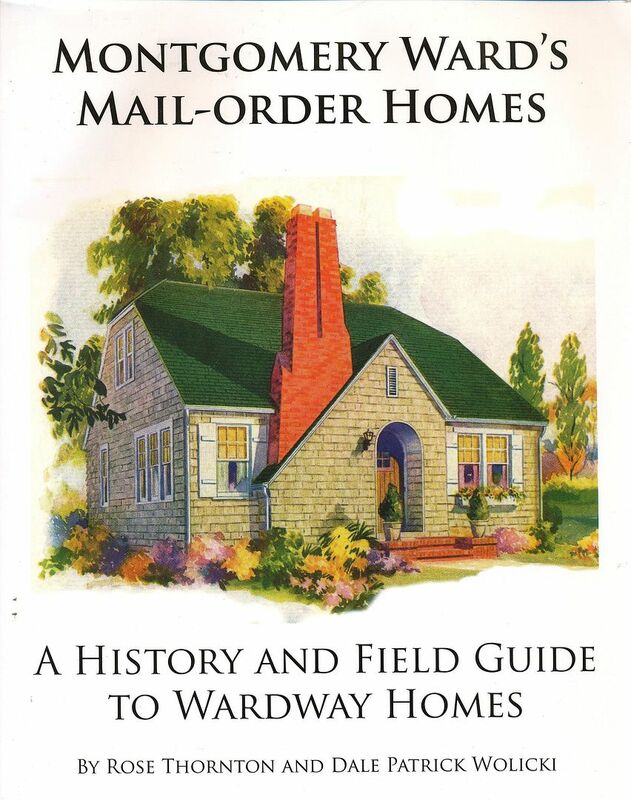 This 347-page tome features hundreds of archival images, contrasted side-by-side with extant examples of Wardway Homes throughout the country. Do you know someone who loves old houses? This is the book for them! 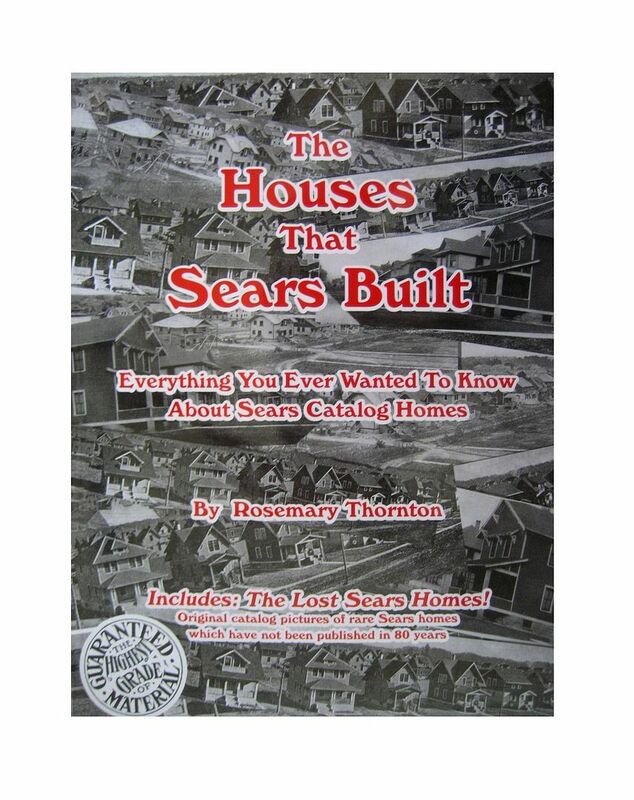 Rose, which book has the pictures of the sears homes in Clifton Forge, VA? i would like to know which book has the Clifton forge pictures and are the street addresses listed?? thanks. Does this book have the drawings of the Sears homes? We have a Craftsman and would like to find it in the original drawings with the floorplan and name, etc. You don’t have any info about what is in the book. Thanks. I have about a half dozen questions I would like to ask you about my foursquare in upstate NY. How can I email you photos? This house is pretty much original and it was the film location for Adrian Grenier’s second film titled The Adventures of Sebastien Cole. I have spent 30 years living in and converting a 980 square foot Hathaway to a 4500 square foot Hathaway! I could not find any images of The Homewood. I currently live in a Homewood in Baltimore City, MD. There are tons of Sears homes in what used to be considered the suburbs, before the city boundary was expanded. Is this style home not as common as it is here? Just curious. P.S. I love the images on this website. Please send me a photo of your Homewood. I’m writing a piece on Sears homes for The Financial Times and would love to get in touch with you to speak, please do email me if you are interested. Hello, I think I grew up in a Homart beach cabin. It’s gone now, but I think I know where one still is in Florida. Ours was in Gulf Shores, Alabama. And there were several in Orange Beach, Alabama. My mother is selling her house ( and I don’t want her to) and we were told years ago that her house is one of the original Sears homes. I will have to go up into the attic to see if there are any marks, I never paid attention. I wish I had seen a pic on here that looks like her house. Is there anywhere online that might have pics of all the homes? I am an engineer in Staunton and I have a lot of people tell me that there homes are Sears Kit Homes. I have photos and address of these projects I have worked on. Do you have an email address I can forward them to for you to verify and also keep for your records? I have a couple I would like to send now. Send them to me at Rosemary.ringer@gmail.com. 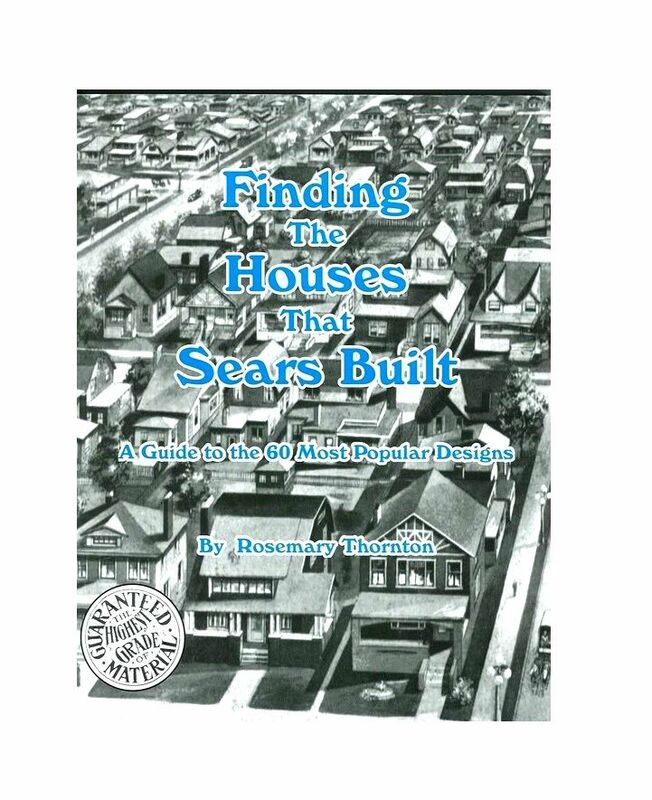 Rosemary, I am having difficulty ordering your book, “FINDING THE HOUSES THAT SEARS BUILT”. Every time that I click on “Buy Now,” I am taken to the opening page of PayPal, and there is no billing for the book. Is it still possible to get a copy? If so, please advise how to order. Hello, i would very much like to buy the book The Houses That Sears Built using my paypal account. As I live in Norway there’s an additional $20 shipping fee, but no where I can add this to the $24.95 (or is it $19.95, please clarify) the book costs. Any tips for how to solve this? You might buy the book via Amazon. Do you have access to Amazon? On my last international sale, I collected $20 from the buyer and the US post office charged me $29 to ship the book! I can’t take any more sales like that! I do have access and I will have a look. I understand the international shipping is costly and I want nothing more that to see you rightfully compensated for your authorship. Last time I shipped a book to Germany, the local Post Office hit me up for $30 shipping. I don’t know if it was a mistake or what, but I lost money on that deal. I’m a reporter working on a story about Sears homes in the Ohio communities of Bay Village, Westlake and North Olmstead. Are you available for an interview to share your expertise? If so, please let me know the best way to contact you. We saw a Sears Kit house in Friendsville, TN. So much charm and still in very close to original condition. Considering buying this home, have several photos. Would you be able to let me know more about this home if I sent you the photos? I grew up in a Carlin Home, located a stamped floor joist in the basement and a packing slip on the back of a baseboard. I went to M. B. Johnson School of Nursing at Elyria Hopsital and would take walks along the street and admire the homes. Little did I know at that time that I was experiencing an American treasure! Does anybody know the name of the model that is show on there concrete machinery catolog. If it’s the same concrete catalog I have, it’s not one of Sears patterns or kits. I’ve seen the covers of a few of those and it’s not a Sears kit home. If you get to Florida, come visit us in Titusville. We have many hidden gems. I’d like to buy several books. Do you offer combined shipping discounts? Sorry for asking the same question twice. I’d like to buy all 4 books listed above. Can I get a shipping discount? You asked about a shipping discount if you buy all four books? Total for all four books will be $127.80. We are interested in getting ahold of blueprints for the Sears Magnolia house. Would you know where we might find them? I was wondering how I can get some of these images in an electronic format. I would like to print and frame some of these for my real estate office. Do you know anything about kit/catalog homes in Nashville, TN? Many of the houses on our street (1934-39) are the same floor plan, and seem to fit the “Brentwood” almost exactly. I believe 3901 Henry Ave., Philadelphia is a Sears home. It was built by John Kelly in the 1920s. It is the house Grace Kelly grew up in. It very much resembles the Lexington and Magnolia designs. The Lexington had two versions. I believe when Kelly built the house he added 20 feet to the width and dormers in the attic for the nanny, maid, and handyman to live. I wonder if there are any photos of the interior or a floor plan of this particular home. I took a look at the house at 3901 Henry and I do not recognize it as a Sears House, or a house from the other national kit home companies. It certainly is a beautiful home, and it looks like it’s been lovingly maintained. Which of your books include the Berwyn model home? Also, do any include the floor plan and price as was illustrated in the 1929 Sears Model Homes Catalog? Good morning Rose. We are in Cottonwood, Arizona and believe we have a Sears Crescent on our hands. We bought this house 4 years ago and one day the neighbor told me that they had owned it and that its a Sears home. I was skeptical until I saw the floorpan for the smaller Crescent on your website. Two possibilities are here: Its a Sears Crescent, or the builder used the Crescent floorpan almost exactly to construct the home. We are renovating the home as the last remodel was in the ’60’s. We haven’t found any stamped lumber though the floor joists have all been heavily painted. Attic framing shows no markings. We’re still looking. Were the Sears home common in the West? We absolutely LOVE this house and are proud to own it regardless of whether its a “real” Crescent or not. THANK YOU for all your hard work and the great information on your website. I’d like to add that the entire interior appears to be the Goodwall product. As I’m tearing it out I’m thinking: 1/4″ drywall? Love all your books! Have them all except your California kit homes book. I have what I believe to be, a Wardway Clyde without the fireplace! It is pristine, with all original wood work, windows, doors, etc. There are several other kit homes here in Pine Plains, Dutchess County, NY. They include Sears, GVT’s and others. I recently replaced my basement windows, and found printed on one of the framing boards, Riverdale Lumber Co., Chicago, Ill., Red Hook order, notify Leon C. Shelly. That doesn’t seem to fit with a Wardway, as I believe they would say Davenport, Ia. Can you help me out here? Where basement windows even included with kits? I would send pictures, but would have to mail them! Thanks again for your love of these great homes! I am scanning an early Sears Concrete Machinery catalog (1920?) that may interest you. It is illustrated with pictures of houses and other buildings, and many details of decorative concrete blocks. Please email me and I will give you the link for the scan on Google Docs. Thank you for your website - I have referred to it before. Hi everyone, looking for information on a 1977-1979 ‘Burger’ or ‘Berger’ house. I am having a hard time getting any info on these houses. Thanks! My wife loves sears homes, if I buy a book through your site can I get it before Christmas? If not I will buy through Amazon. I placed an order through Paypal on your site but I am not sure if it went through, can you confirm please? I am looking for a book or catalog (reproduction or not) of all the homes that Sears had to offer from 1908 through 1940. Is such an item available … from anywhere?? I am planning to build a Sears and Roebuck home but can’t find any way to buy plans or even reprints to build from. I really do love these houses and their sizes, etc. Any way that I can get plans to use would be great! We have found more than one home that we love. I’d be grateful for any help. Hi Rose, Do your books include blueprints for any of the homes? I would like to recreate one of the craftsmen, probably “The Vallonia”, but I want to compare it to the other craftsmen models before I decide. I saw that one person had the blueprints for the Vallonia. Do you have any of the other ones? None of the books include blueprints. If you buy my other book (”The Sears Homes of Illinois”), there are several floorplans shown with the original catalog images. Does the book from Montgomery Wards have the house “The Ames” in it? I think it’s closest to the house I grew up in. Hello, we have a Sears House in Lorain, Ohio. It looks like the Barrington floor plan from what we can tell. It was renovated, but they kept a lot of the original plaster walls, floors, stair case, shelving, etc. How would we verify that this is a Sears Home? There were only 3 ever order according to sears archive, if that is indeed the floor plan. Any info would be appreciated. I got to this site from the Sears archives site. I don’t do Facebook either. Hello! we would like to use a photo from your website on This Old House’s website. Would like to get in touch with you via email. Can you please email me and I’ll send you details?